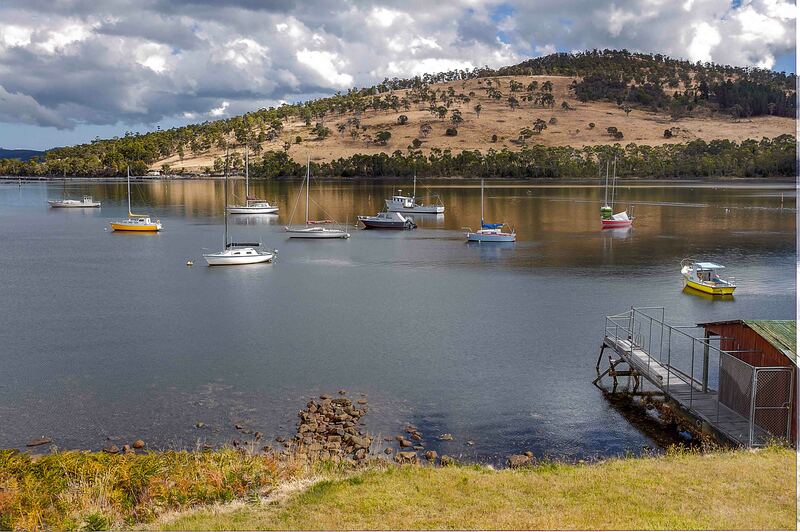 Week 27 – Tasmania, Week 2. What a beautiful town. I have loved every minute of being and will be sad to leave tomorrow morning! Driving into Hobart was much the same as every other place so far in Tassie. Beautiful. Water views, mountain views with houses scattered through them. We arrived early in the afternoon as the drive from Mt Field National Park wasn’t a long one. We did stop in a town called New England as we wanted to visit some Antique stores. There were 9 stores in this town, we only saw 2 though. A very pretty town as well. We decided to stay near the airport in Hobart as it was central to the tourist spots we wanted to check out, and on the plus side it was a brand new park ! Clean amenities and I’ll go anywhere really. 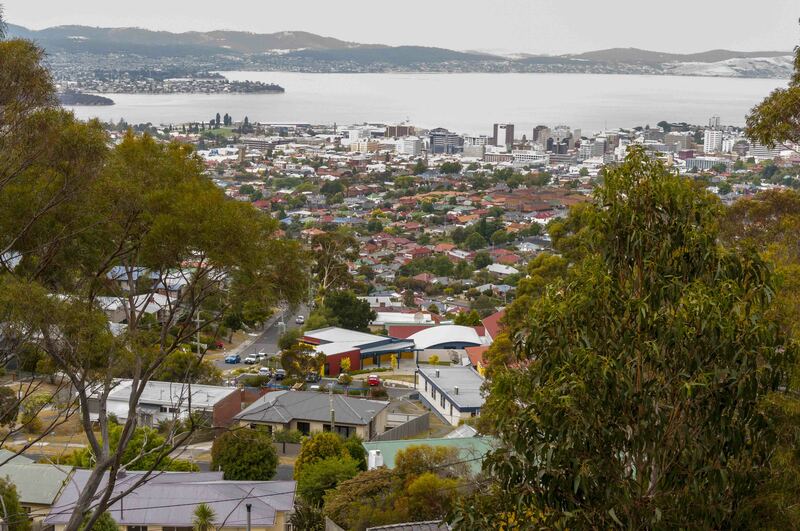 17km to to the town of Hobart and 7 km’s to the nearest shopping centre. Tasmanians think this is a long way (not unlike most West Australians too). After we unpacked and set up, which took a while this time as we were staying here for 7 nights, more things come out of the van and car ! Wayne went to get some groceries, I took the kids to the park and we just hung around. We decided that we would hit Hobart the following day and just chill out for the rest of the afternoon, which by this time was almost dinner time anyway. 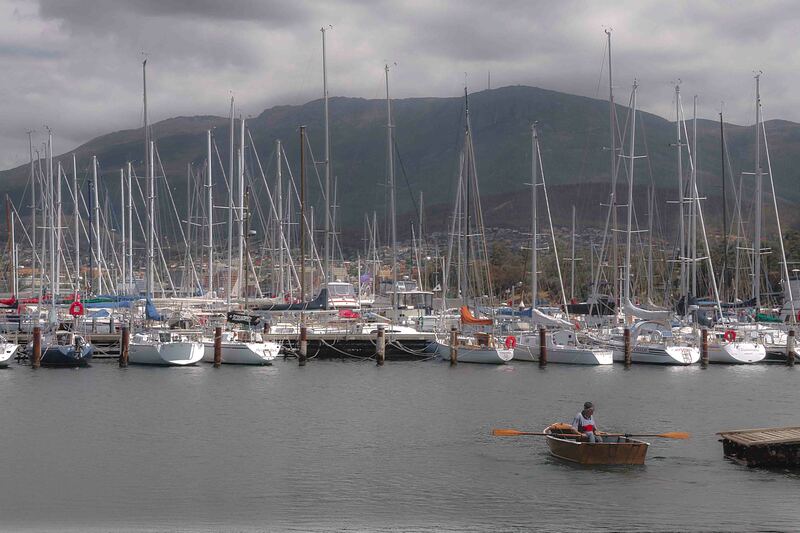 We went into Hobart the following day, was a little cold and grey but still nice. The weather here is like Melbourne, can be freezing one minute, then sunny the next. We tried to find Mt Wellington and as per usual our GPS took up somewhere entirely different. You wouldn’t think that it’s hard to find really, it’s massive and you can SEE it everywhere. Wayne likes driving anyway and was interested in the scenery etc. It wasn’t really until we were driving through rural communities that we thought perhaps we’d taken a wrong turn. Yes we had. Still didn’t deter us though, we found another look-out (Wayne’s favourite past-time) and then headed back into Hobart. 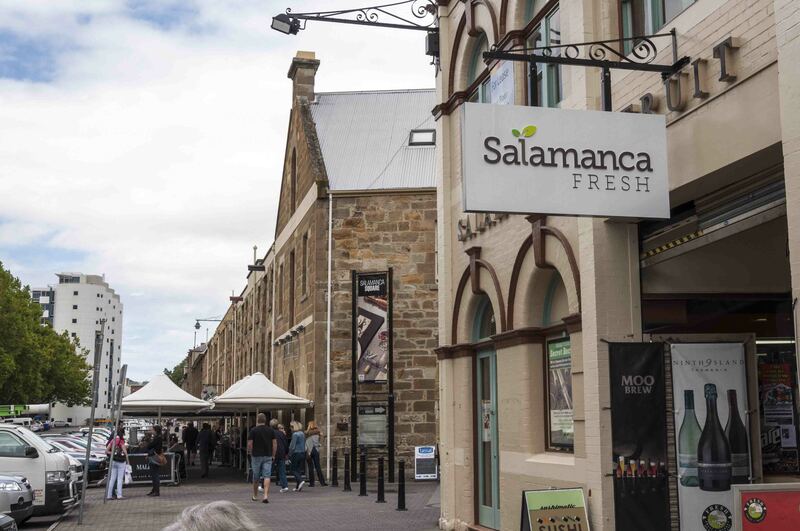 We had heard all about Salamanca & we weren’t disappointed. The old worn buildings, the smell of coffee and bread around every corner, the dark lane-ways with dimmed lighting. I loved it. The galleries and the boutique shopping is also something I love and there were plenty of them around. 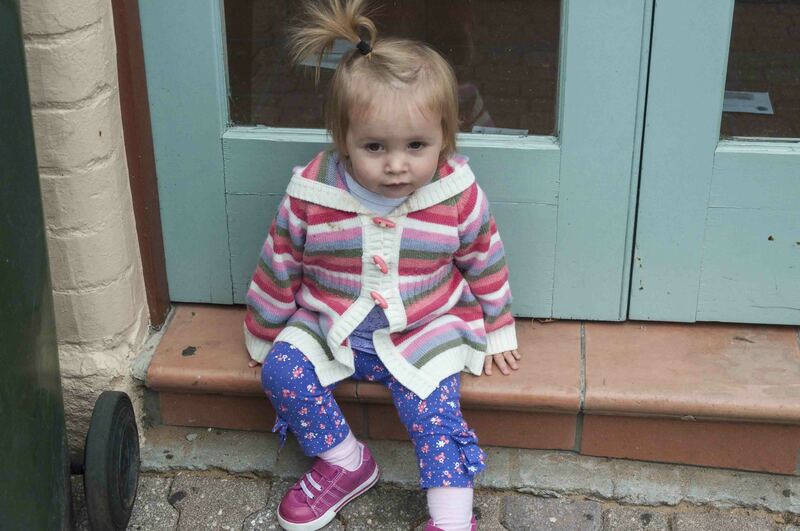 We had a coffee and the kids walked around the square a little (trying to tire Frankie out I think). We drove around Battery Point – my new favourite place that I would LIVE in a heartbeat – and we all picked out a house that we wanted to buy. So many heritage listed properties, made from sandstone cut by the convicts. So much history. Was a great day. 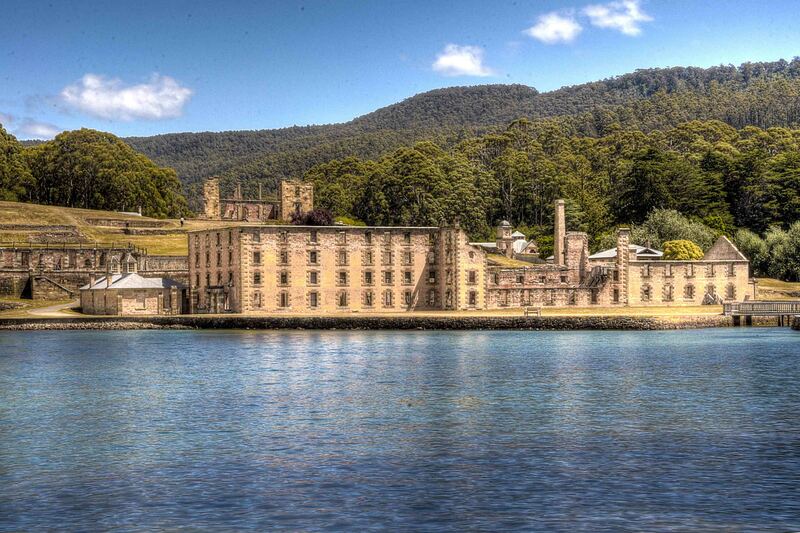 I might embarrass myself here, but I didn’t know Port Arthur was a prison. I’ll drop Wayne in it too and say he didn’t either (true). Either our school wasn’t interested in this part of Australian History or I wasn’t listening at school. However, I of course know it as the site where Martin Bryant murdered in excess of 30 innocent victims in April of 1996. Surprisingly, the staff don’t mention this, not in their tours or even when you enter the information area. I’m sure it’s not something they want to remember, but we did have to ask if there was a memorial there. Of course there is, although it’s not on any of their maps or guides. We had walked past it twice before we eventually saw it. Very sad & tragic and it’s hard to imagine that people just going about their day, learning about our culture and history, were all of a sudden shot dead. I can’t get my head around it and it was in the back of my mind the entire day. 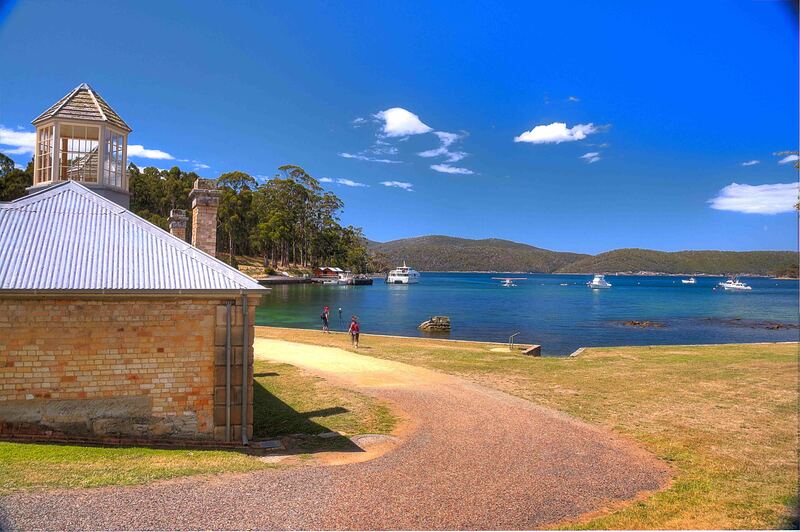 Apart from that, Port Arthur is beautiful. They have tried to conserve the old prisons and houses as much as they can, and for the most part, they are in fantastic condition. The whole area is constantly maintained and the gardens beautiful. The history of the place is told very well by tour guides and you can do more extensive guided tours as well. Imagining how the women felt at the camp (the wives of the prison guards, dr’s, and teachers) living there and raising children is such a foreign concept, but that’s what they did. The prison evolved into a prison/community over time and then was phased out rather quickly once the Gold Rush in Victoria took over Australia. Transportation of non rehabilated prisoners over to Port Arthur stopped and basically numbers dwindled until eventually it became what it is today. If you go to Tasmania, this site is a MUST see. 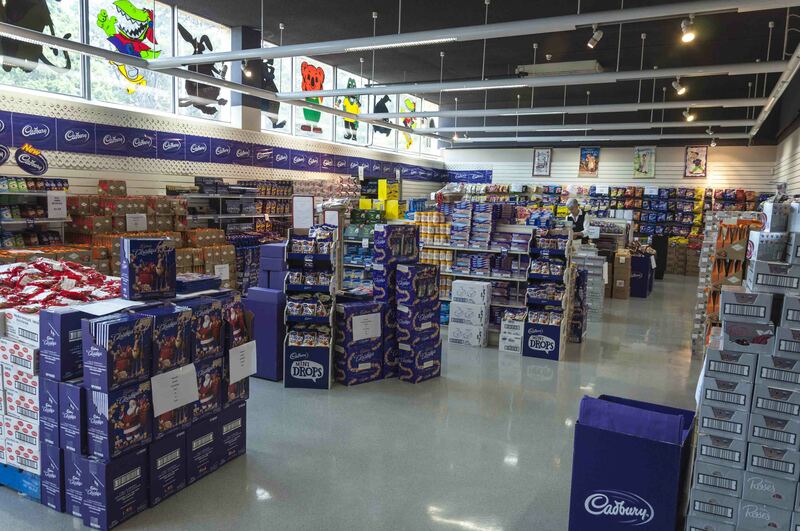 Of course we had to make a visit to the Cadbury factory. 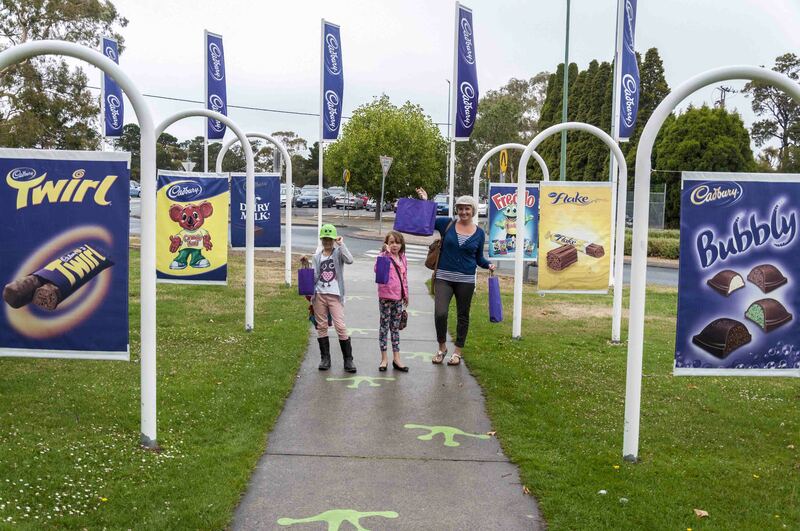 Both my sisters eat chocolate and one in particular has a little bit of a crush on Mr Cadbury so when we arrived we all took silly photo’s near the many Cadbury signs and also sent a package home to BG. The factory is the largest one in Australia and it’s very dated inside. Not sure what I was expecting, but after being to some coffee plantations in Nth Qld that were beautiful and also cheese factories etc, I expected a bit more ‘Glam’. It is a working factory though and there are lots happening. 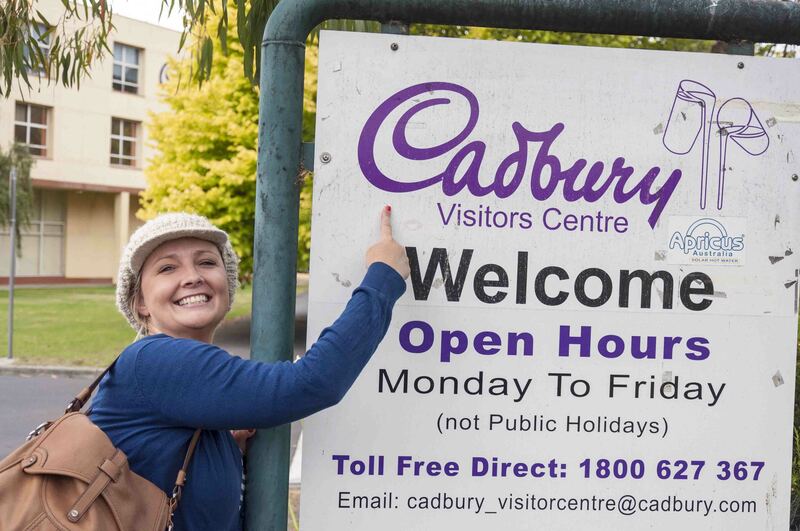 Unfortunately Cadbury are no longer allowed to let visitors in the factory (due to occupational health and safety and Insurance claims) not that Cadbury wanted this but that became the law and that’s that. There is a little museum I guess you’d call it, plus a very large shop where you can buy chocolates at almost wholesale prices, plus a coffee shop. The girls went a little nuts in the shop, we listened to a half hour presentation of how chocolate is made and we had a coffee. Would you believe that not one piece or sliver of chocolate passed my lips ? Its true.. I loved it ! So did Wayne. 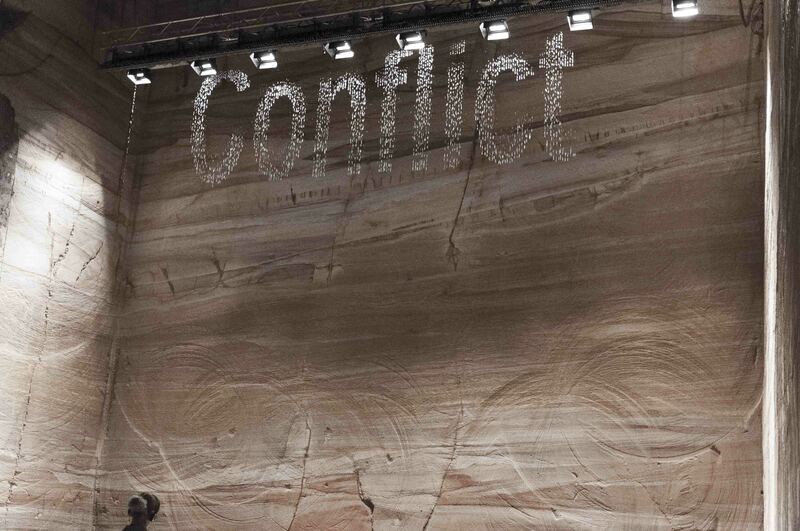 From the moment you enter the Museum, going underground, the old sandstone walls and dim lights. I wanted to capture the feeling of this in my own home (and will done day I hope). One of the staff members told me about one section that wasn’t suitable for kids, so I headed there first. Let’s just say, the girls probably wouldn’t have understood anything anyway,and there were only a few collections that even I shuddered and looked away. We spent a couple of hours in MONA. To be honest, half of the art, subjects, sculptures etc I didn’t understand, and after from speaking to Wayne we both interpreted them differently. I guess that’s what art is though, everyone takes away something different. I really enjoyed it and could have stayed longer if the kids weren’t getting a little restless. Sarah was a little nervous after the first hour as she walked into a dark room and saw a few things that she didn’t understand (and neither did I) and then about 30 mins later little miss tough Olivia came a little undone after seeing a snake with a humans head.. it was time to go ! However, the wine bar and jazz musicians looked very inviting.. perhaps another time ! Yep, spent some money here. I bought a beautiful print called ‘where’s my kiss’ although not from the markets itself, but from the print shop inside.. the markets are pretty cool, very well run and easy to walk around. More space than what I had originally thought too. I didn’t spend as much money as I thought I would though. Usually I go a little nuts at Markets, but there didn’t seem to be anything that grabbed me, apart from some lovely blue cake tins.. Olivia and Sarah loved EVERYTHING of course. The main thing they purchased were puppets and we were given yet another performance (3 actually) throughout the course of the day. We hung around the markets a bit and then went to the Cargo Lounge for pizza ! 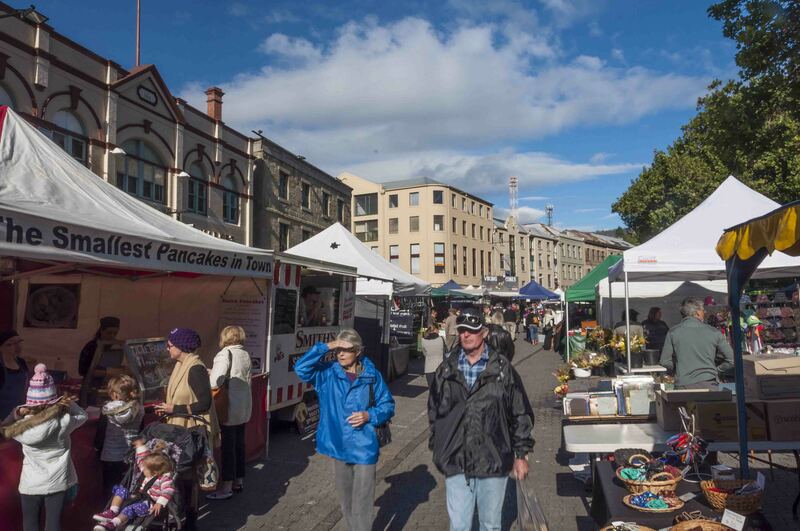 After the markets, we drove around Hobart some more, it’s a beautiful town.. Went home and the girls put on a ‘sound of music’ puppet show again and again and again… they get more confident as they get going. I love having little girls and I really enjoy watching them. Wayne hats the fact that the puppet string is constantly getting tangled and he has the fiddly job of un-tangling them! The last couple of days we basically explored Hobart and it’s surrounds. Wayne likes driving and I love it too to be honest, not the actual driving part, but I’m a happy passenger. Saw some beautiful little towns and villages, came across a little gem in way of an Apple Museum and had some good food ! Loved our whole week here.. & will be back one day. Hope everyone reading this is well ! 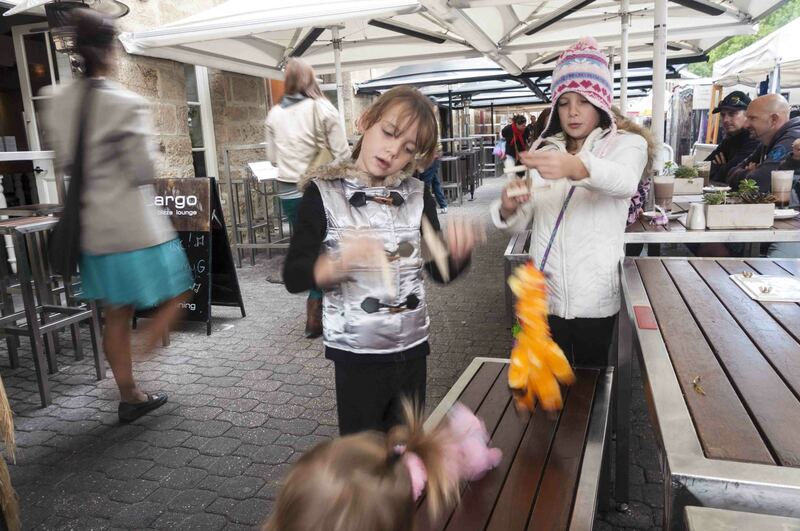 Love the photo of the puppets where Frankie is mimicking Liv and Sar. And assume your big smile at the Cadbury sign was for me 🙂 And THANKS for the chocolate package. LOVED it! Congratulations!!! We remember how excited you both were about the pending arrival. A little baby girl (they’re the best)..Yes, Wayne has been taking many photo’s, he really enjoys it and often gets up around 5am to drive to a location for the best spot/time of the day. 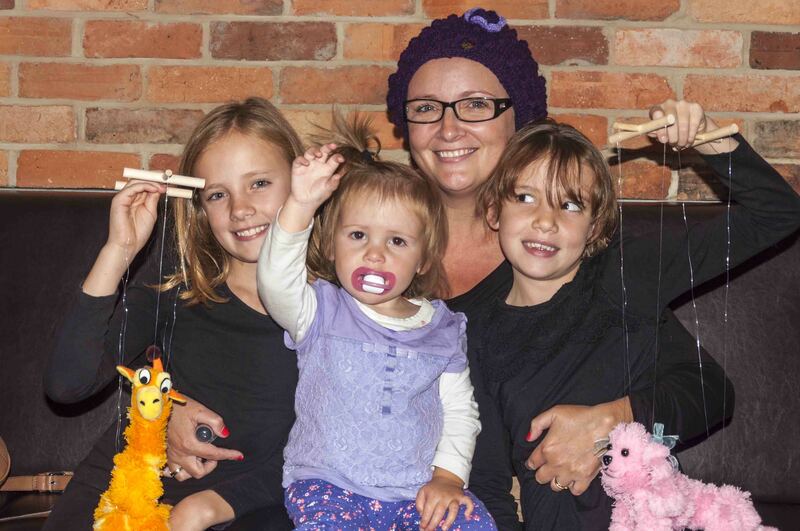 Again, awesome news about Lily. Would love to see a pic one day. ← The answer was . . . .